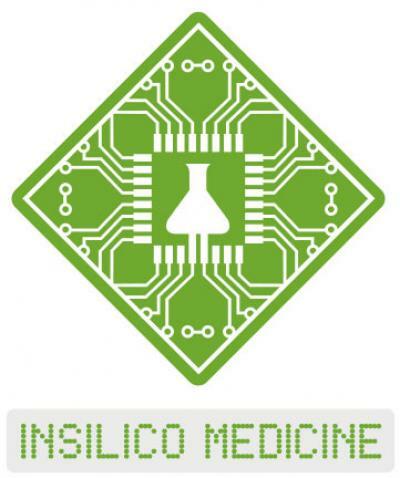 Insilico Medicine, Inc. is a bioinformatics company located at the Emerging Technology Centers at the Johns Hopkins University Eastern campus in Baltimore with R&D resources in Belgium, Russia, and Poland hiring talent through hackathons and competitions. It utilizes advances in genomics, big data analysis and deep learning for in silico drug discovery and drug repurposing for aging and age-related diseases. The company pursues internal drug discovery programs in cancer, Parkinson’s, Alzheimer’s, sarcopenia and geroprotector discovery. Through its Pharmaceutical Artificial Intelligence division the company provides advanced machine learning services to biotechnology, pharmaceutical, and skin care companies. Some of the most promising drugs for cancer therapy called checkpoint inhibitors often result in complete remissions, however, a majority of patients fail cancer immunotherapy with antibodies targeting immune checkpoints, such as CTLA-4 or programmed death-1 (PD-1). Thursday, July 14, 2016, Baltimore, MD — Recent advances in cancer immunotherapy demonstrated complete remission in multiple tumor types including melanoma and lung cancers. Almost every major pharmaceutical company operating in oncology space started multiple programs in immuno-oncology with thousands of clinical trials underway. Immuno-oncology is now a very broad field ranging from treatment of a patient with an engineered antibody to genome editing of patient’s immune cells. Genetic mutations accruing from the inherent genomic instability of tumor cells present neo-antigens that are recognized by the immune system. Cross-presentation of tumor antigens at the immune synapse between antigen-presenting dendritic cells and T lymphocytes can potentially activate an adaptive antitumor immune response, however, tumors continuously evolve to counteract and ultimately defeat such immune surveillance by co-opting and amplifying mechanisms of immune tolerance to evade elimination by the immune system. This prerequisite for tumor progression is enabled by the ability of cancers to produce negative regulators of immune response. Cancer immunotherapy is currently focused on targeting immune inhibitory checkpoints that control T cell activation, such as CTLA-4 and PD-1. Monoclonal antibodies that block these immune checkpoints (commonly referred to as immune checkpoint inhibitors) can unleash antitumor immunity and produce durable clinical responses in a subset of patients with advanced cancers, such as melanoma and non-small-cell lung cancer. However, these immunotherapeutics are currently constrained by their inability to induce clinical responses in the vast majority of patients and the frequent occurrence of immune-related adverse events. A key limitation of checkpoint inhibitors is that they narrowly focus on modulating the immune synapse but do not address other key molecular determinants that may also be responsible for immune dysfunction. Immunoresistance often ensues as a result of the concomitant activation of multiple, often overlapping signaling pathways. Therefore, inhibition of multiple, cross-talking pathways involved in survival control with combination therapy is usually more effective in decreasing the likelihood that cancer cells will develop therapeutic resistance than with single agent therapy. While research efforts are now focused on identifying new inhibitory mechanisms that could be targeted to achieve responses in patients with refractory cancers and provide durable and adaptable cancer control, there are outstanding challenges in determining what combination of immunotherapies and conventional therapies will prove beneficial against each tumor type. “Immunotherapy is the most promising area in oncology resulting in cures, but we need to identify effective combinations of both established methods and new drugs developed specifically to boost response rates. At Insilico Medicine we developed a new method for screening, scoring and personalizing small molecules that may boost response rates to PD-1, PD-L1, CTLA4 and other checkpoint inhibitors. We can identify effective combinations of both established methods and new drugs developed specifically to boost response rates to immunotherapy”, said Artem Artemov, director of computational drug repurposing at Insilico Medicine. Insilico Medicine, Inc. is one of the leaders in transcriptome-based pathway perturbation analysis. It is also a pioneer in applying cutting edge artificial intelligence techniques to biological and medical data analysis, particularly focused on in silico screening for new compounds against cancer and known drugs which can be repurposed against different cancers. One of the major programs currently ongoing at Insilico Medicine is evaluation of the transcriptional responses to multiple checkpoint inhibitors and analyzing the pathway-level differences in patients who respond and fail to respond to clinically approved checkpoint inhibitors. This novel computational approach is aimed at identifying new drug candidates which can be used in combination with immunotherapy to unleash durable antitumor effect against several types of cancers. Recently, scientists at Insilico Medicine performed a large in silico screening of compounds that can be administered in combination with anti-PD1 immunotherapy to increase response rates. The researchers collected transcriptomic data from tumors of patients who either responded or failed to respond to standard immunotherapy, using both publically available and internally generated data. Next, they used differential pathway activation analysis and deep learning based approaches to identify transcriptomic signatures predicting the success of immunotherapy in a particular tumor type. Finally, they analyzed drug-induced transcriptomic effects to screen for the drugs that can robustly drive transcriptomes of tumor cells from non-responsive state to the state responsive to immunotherapy. In other words, researchers developed approach that can predict whether drug of interest would induce a transcriptional signature that characterizes those patients that respond to cancer immunotherapy in non-respondents. This method allows personalizing these drugs to individual patients and specific checkpoint inhibitors. Among the top-scoring drugs, they found several compounds known to increase response rates in combination with cancer immunotherapy. One of the top-scoring compounds included a naturally-occurring substance marketed as a natural product. The current list of top-scoring leads that may increase response rates to checkpoint inhibitors included 12 small molecules identified using signaling pathway perturbation analysis and annotated using a deeply learned drug scoring system. Insilico Medicine is currently open for partnerships which will allow further testing and validation of the discovered compounds ex vivo on cell cultures established from tumors which respond and failed to respond to immunotherapy, as well as in mice with patient-derived tumor xenografts. This approach may greatly reduce the costs of preclinical trials and significantly shorten the timeframe from a drug prediction to validation and marketing. The compounds, after preclinical and clinical validation, may improve cancer care and dramatically increase the lifespan of cancer patients. A panel of leads for concomitant immunotherapy is part of a large number of leads developed using DeepPharma™, artificially-intelligent drug discovery engine, which includes a large number of molecules predicted to be effective antineoplastic agents, metabolic regulators, CVD and CNS lead, senolytics and ED drugs. Recently Insilico Medicine published several seminal papers demonstrating proof of concept of utilizing deep learning techniques to predict pharmacological properties of small molecules using transcriptional response data utilizing deep neural networks for biomarker development. “Deep Learning Applications for Predicting Pharmacological Properties of Drugs and Drug Repurposing Using Transcriptomic Data,” a paper published in Molecular Pharmaceuticals received the American Chemical Society Editors’ Choice Award. Another recent collaboration with Biotime, Inc resulted in a launch of Embryonic.AI, deep learned predictor of differentiation state of the sample.